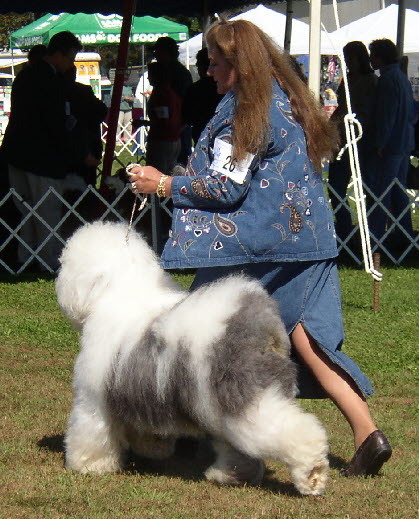 Old English Sheepdog Club of America’s National Specialty in 2004 under breeder judge Sean Armstrong. She is a litter mate to our Glory and Gracie. We are so proud of Bootie’s accomplishments and want to thank Doug and Michaelanne for doing such an incredible job of presenting her. D.J., and produced a lovely show puppy. 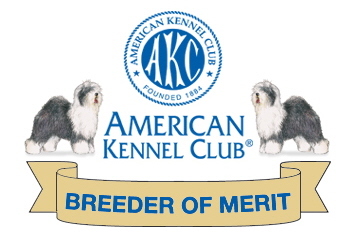 We hope to see this puppy in the show ring in the near future.